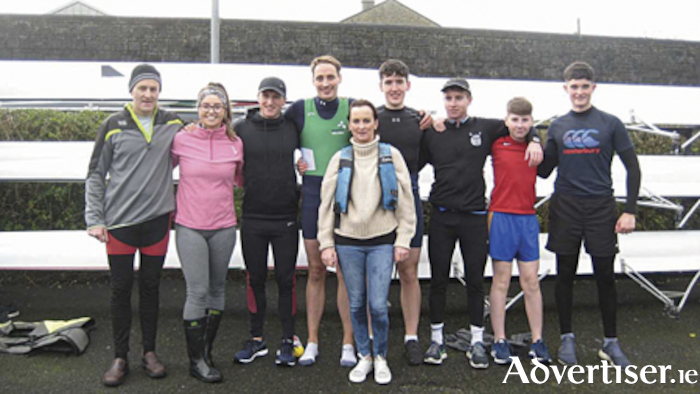 Year on year, for the past thirty years, the Athlone Boat Club celebrates their ‘fun’ row on St. Stephen’s Day. It is a day that celebrates past and present members. This year, men, women and children all came together and rowed against each other in an eight, on a day which was filled with a lot of fun with just a pinch of competition. Families and friends (even the four-legged kind ) showed up to support the club and its members. Tea, soup and sandwiches kept everyone warm as they stood along the banks of the Shannon cheering on their respective teams. Listening to past and older members of the club speak of days gone by, there was a great sense of pride in the stories they told, the successes they had and friendships that were born and have lasted, in some cases, a lifetime. Their influence has had a very positive effect on the lives of our junior members and what better way to honour them than to celebrate with a day of fun.